In Toronto this weekend is the first house summer festival of the year, Digital Dreams, with that festival follows VELD. Toronto got its first experience of festivals last year and it was an instant hit. Toronto house music fans got to experience what the United States and Europe has been experiencing for a while. There are not only festivals in Toronto, there is Electric Zoo in New York City Labor Day Long Weekend, Electric Daisy in London in July and Tomorrowland in Belgium in July as well, just to name a few. The question with each festival is, “What do I wear”. You don’t want to be overdressed and you definitely want to feel comfortable, but not look comfortable. These outdoor festivals are normally running for 8 hours a day and run over the course of a weekend. You have to be able to endure any weather, heat, rain or cold. – Chic Festival Girl- With a crop top and a pair of shorts, you are ready for any festival. The chic girl has a simple head band and killer shoes. These sandals will be comfortable and they are sturdy enough for the entire day. – Flower Child- A lot of flower childs at festivals go all out in tu-tu’s and bandeau’s, however, if that is not your style, show your flower child side with a killer daisy headband. These are very easy to find now and a lot of sellers on Etsy make them per your request. Wear a pair of wrap around sandals and your outfit is set. 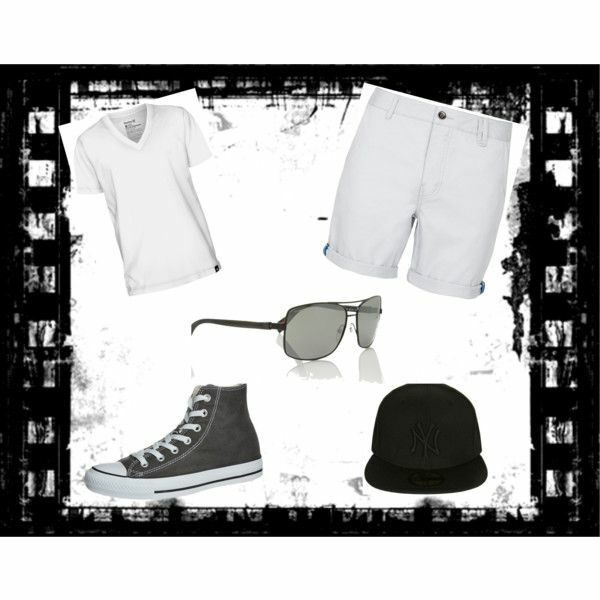 – Mr. GQ – when it comes to the guys, they can pretty much throw on a pair of shorts and a t-shirt. Here he is wearing a NY Yankees hat, a classic white tshirt and a pair of white shorts. – The Hipster- Still the same idea with the first outfit, just changing it up a bit, this has more of a hipster or street vibe to it. Vest- $87 Standard Jean Co. I hope these outfits will give both ladies and gentlemen outfit ideas for your summer festivals!